"Stage 3 New Release Now Available" offering a limited selection of lots which will sell fast, only 9 lots remaining so enquire today. 34 lots are now sold in the Stage 2 release with only 3 lots remaining, offering "Best Value Lifestyle Lots" in the Margaret River Region. 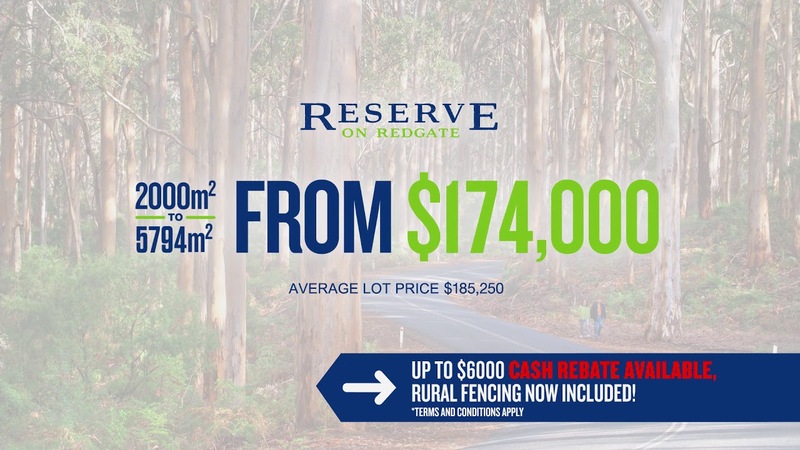 Up to $6000 Cash Rebate now available for a limited time (conditions apply) plus rural style fencing is included with your block purchase! 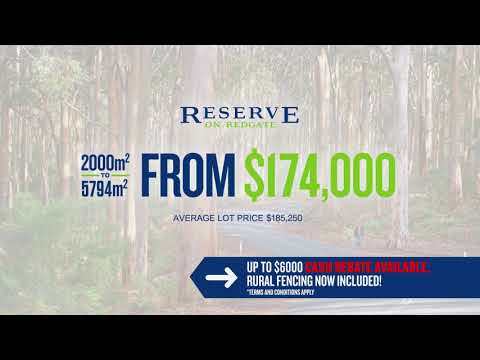 Block sizes from 2000sqm to 5754sqm and prices starting from $174,000 with blocks ready to build on now, so "Reserve Yours Today"
Make the most of the terrific selection of blocks to choose from, all serviced with Western Power, Telstra and NBN fibre optics.